If you selected NO please ensure you are available to pick up your child/children on time. Yes, I'd love to help. Sign me up! Maybe, sounds good but I would like more information. Sorry, I cannot help. 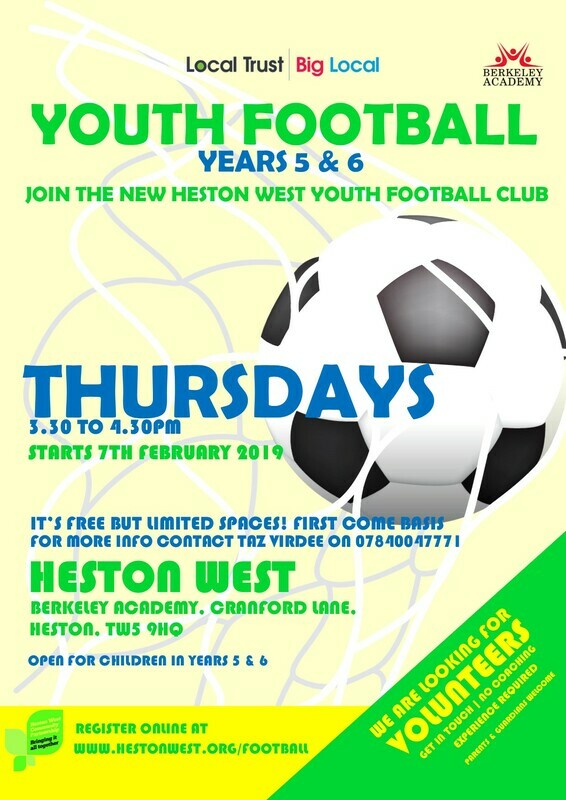 Meanwhile if you would like more information about the Big Local Youth Football sessions please contact Taz on 07840047771.